Hey girls, are you are following me on Instagram? 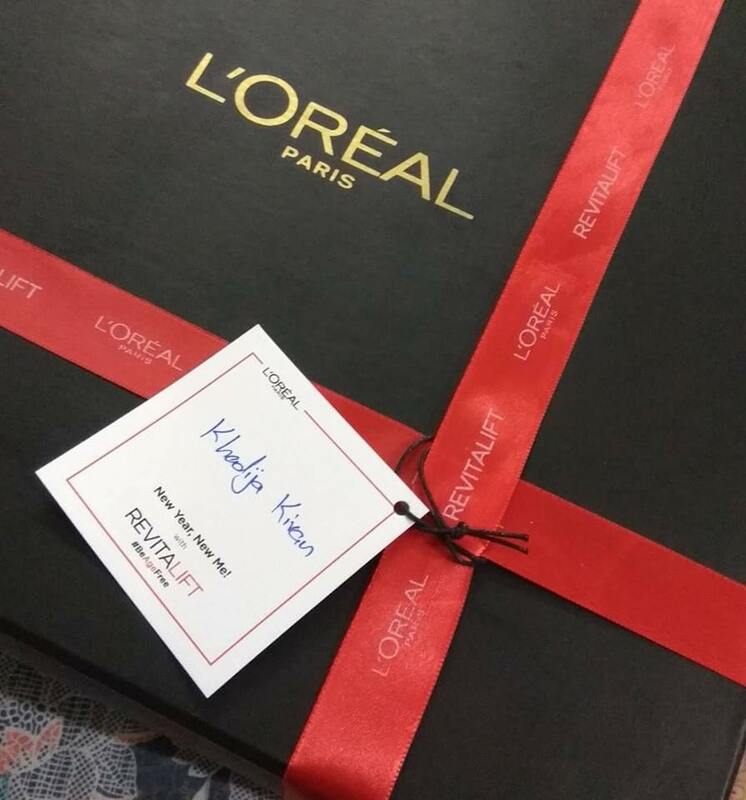 If yes, you may remember I received a beautiful care package last month from L’Oreal Paris. I was trying these products for my dry skin in winter season. I am going to share how is my experience while testing the product on my skin for a whole month. 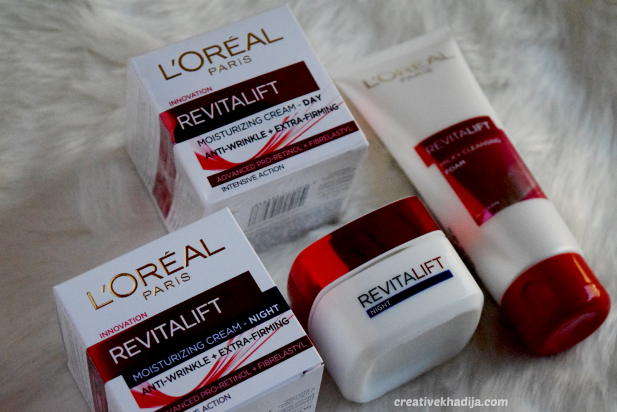 Today you will also know how to cure dry skin with L’Oreal Paris Revitalift Cream-Review. Carry on reading! New Year, New Me! 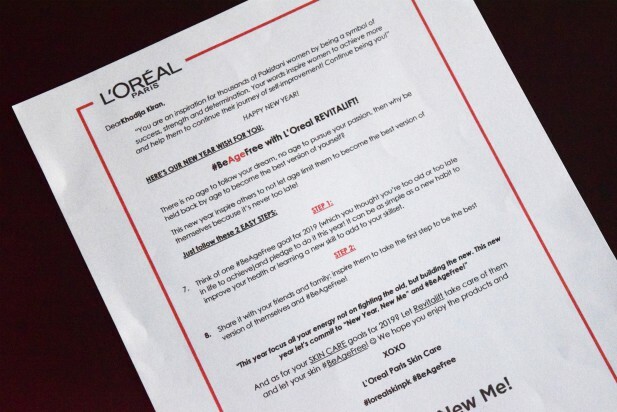 Care package from L’Oreal Paris. 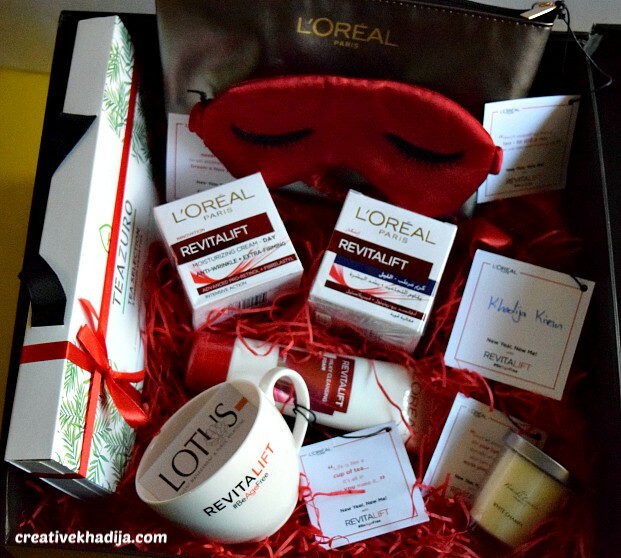 L’Oreal RevitaLift products and some cute goodies for my use! This was the customized care package I received. I really appreciate the great initiative by the brand for motivating us to follow our dreams without any fear of getting old for it. #BeAgeFree to become the best version of yourself. 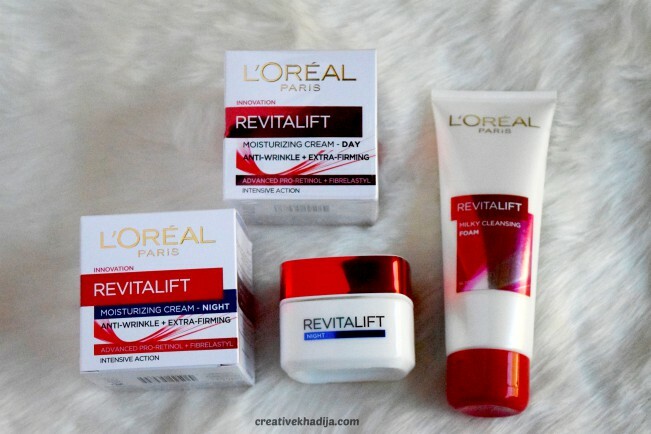 L’Oreal Revitalift Day cream, Night cream & foaming face wash.
Revitalift Classic is an anti-aging skin care products range for early signs of aging. Such as fine-lines/wrinkles and loss of elasticity in the skin. It successfully reduces wrinkles and also restores firmness of the skin. It makes skin look younger, smoother, healthier and more radiant throughout the year. 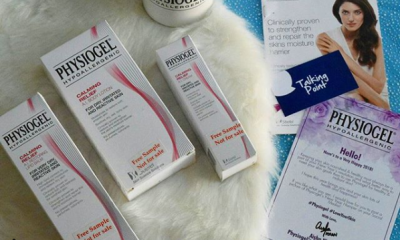 It’s highly recommended to correct and prevent early signs of aging. This L’Oreal Paris Revitalift Day Cream is formulated with active ingredients like pro-retinol. It is a renowned ingredient for the treatment of wrinkles and fibrelastyl, which increases the firmness of your skin. Perfect for aging skin, this day cream comes in a white jar with a red cap. Along with the Day written on the front of the jar, to indicate it is a day cream. 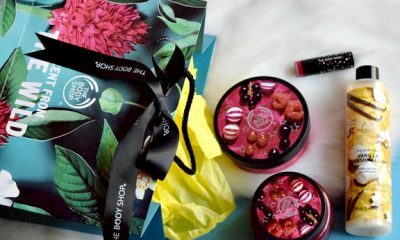 It has a nice strong scent contains a 50ml of product which will last you for months of daily use. 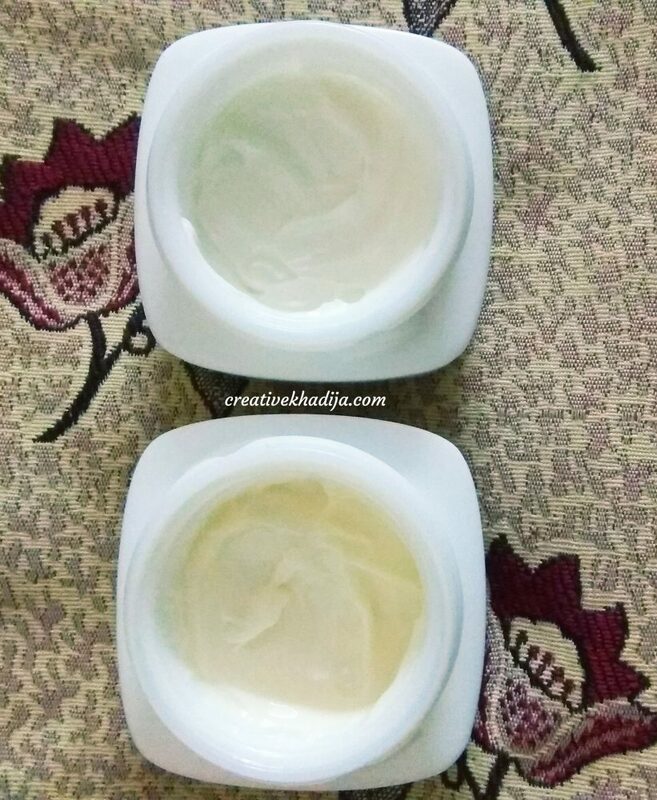 Since the day cream has a heavy formulation, it is going to be good for the dry skin in winters. It retails for just Rs 1399 only. Day cream is a bit off white in color while Night cream is pure white in color. Another incredible product from the Revitalift line. L’Oreal Paris Revitalift Night Cream is designed to be used before you head to the bed to enjoy sleep. Carrying hydrating ingredients like water and glycerine, this night cream is deeply moisturizing. So if you suffer from dry flaky skin, you will love this night cream. It has a white color, as compared to the day cream, which has a light beige hue. With the word Night written on the jar over a blue bold line. 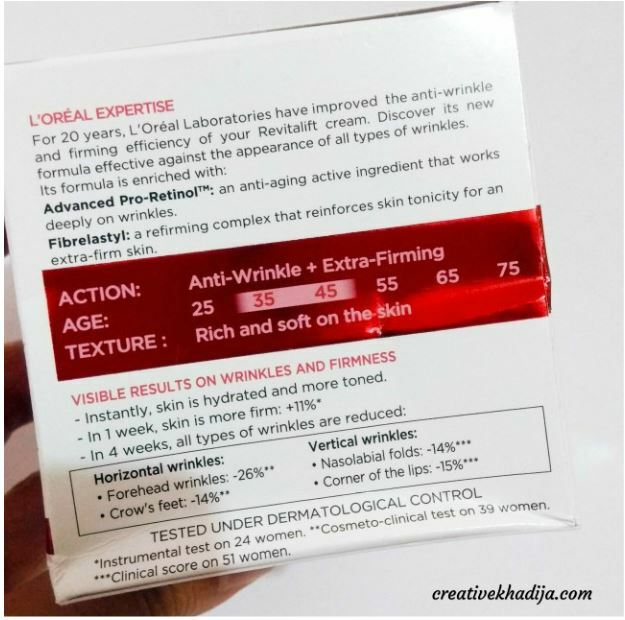 You can easily differentiate between the L’Oreal Paris Revitalift Night Cream and the Day Cream. If you own both of them, it’s easy for you. Alongside the issues of wrinkles and loss of firmness, how to treat dry skin is a worry for you. Then you are definitely going to enjoy this night cream. It retails for Rs 1399 inclusive of all taxes.It comes in a jar containing 50ml. Also, it’s suitable for people with acne skin. The L’Oreal Paris Revitalift Foam Wash is a 2 in 1 product. It serves as a cleanser, as well as a face wash. Whether you are looking for a quality cleanser to remove makeup efficiently or face wash to clean the skin to cure dry skin, you are going to love this product. It comes in a white tube carrying 100ml of product and has a red cap. You only need a small quantity of this product because it has a thick creamy texture. Since this product has nourishing ingredients, it is good for individuals suffering from dry patches on the face. It can be a common problem for the most, during the winter season. Like other Revitalift products, this also carries anti-aging and firming ingredients. The product reduce the appearance of wrinkles, while also toning your skin. Available for a price of Rs 999 only, use it alongside other products from the Revitalift range for best results. I really like this face wash & now it’s my new skin care favorite product. If you want to protect & cure dry skin, this product is the best fit. Specially if you have aging skin and acne problem, you will love it. This will keep your skin moisturized and healthy during the dry season. My skin is more soft and nourished after using Revitalift creams. 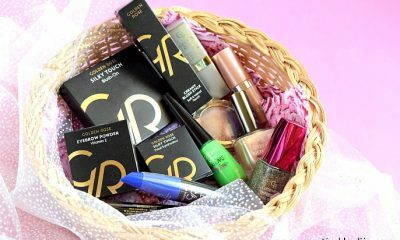 So I would like to recommend my readers to try the product & look great. In my views, I will rate the products at 4.5/5. Give it a try & let me know about the results. Also, every skin type is different, what suits me doesn’t mean that it will suit everyone. My skin is sensitive and a few products suits my skin type. 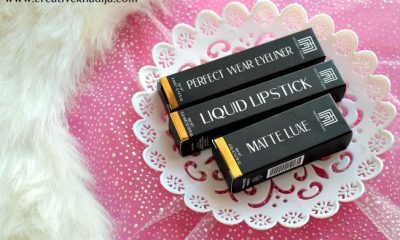 Luckily, L’Oreal products are mostly a yes for my skin! I hope you will find the review useful. 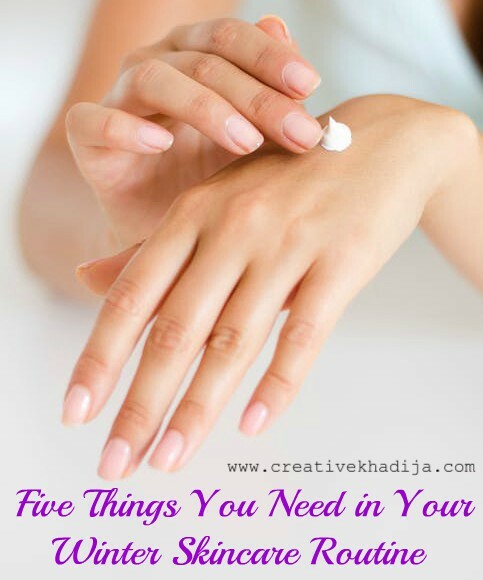 You can also have a look at five things you need in your winter skincare routine. Let me know if you have any question. Have a great day.